4 Buzzing In Ears Medical – What Causes Buzzing in Your Ears? 5 Buzzing In Ears Symptom – What If the Ringing in Your Ears Was Caused by a Brain Tumour? 6 Buzzing Ears – Can Anxiety Cause Buzzing In The Ears? 6.1 So Can Anxiety Really Cause Buzzing in the Ears? Buzzing sounds in the ear can be very frustrating and annoying. It can be caused by a number of things and has the power to affect every part of your life. There are a number of things that can be done to assist in dealing with having a constant buzzing sound in the ear. Buzzing sounds in the ear are more commonly known as tinnitus. It can be present some of the time or all of the time and has varying degrees of severity. It can also come in a variety of forms such as buzzing, ringing or roaring. Tinnitus can be permanent or temporary and may be insignificant of other conditions or it could be a symptom in an underlying medical concern. A buzzing sound in the ear should be investigated to rule out any other issues. Buzzing sounds in the ear can occur after being exposed to loud noises, where loud noises refers to noises above a safe hearing level (above about 85 decibels). They can also occur with an earache or ear infection. As long as no permanent damage is done to the ear during these episodes, the buzzing sounds in the ears may be temporary. Buzzing sounds in the ear may also be a symptom of an underlying condition, such as migraine or Labrynthitis. It can be present in those with a head injury or Meniere’s disease. Buzzing sound in the ear can also be present in noise induced hearing loss or could be caused by certain medications. Treating buzzing sounds in the ear can be as simple as avoiding triggers or as complicated as using hearing aids or machines designed to mask the noise the buzzing makes. Many people find that listening to music or even opening a door or window to let more natural noise in is enough to mask the sound the tinnitus makes. Buzzing sounds in the ear can be treated with alternative therapies such as taking zinc or other vitamin supplements (vitamin B12, thiamine, magnesium and ginkgo biloba have been suggested as being helpful). Avoiding caffeine, sugar and alcohol may also assist in reducing the severity of the buzzing sound in the ears. Wearing ear muffs or ear plugs in a noisy environment is likely to assist as well as breathing exercises, attempting cognitive behaviour therapy (counselling) and avoiding loud noises. Many sufferers of buzzing sounds in the ear have found that it is worse during times of stress, so finding ways to manage your stress is likely to help in minimizing the problem. Other treatments that have been helpful are acupuncture, tai chi and ayurvedic medicine. Relaxation, antidepressants and steroids have assisted people in managing their symptoms. Buzzing sounds in the ear can interrupt and affect every area of the sufferer’s life. It can hinder sleep patterns being consistent and therefore cause tiredness and fatigue. However, it can be controlled. It can become just another part of life that has little or no impact on your life. Find ways to control the buzzing sound in your ears so that it doesn’t control you. Try a number of treatments to work out which one works best for your situation and then use it consistently. Buzzing In Ears Medical – What Causes Buzzing in Your Ears? Buzzing ears, more correctly referred to as tinnitus, is one of the most common medical complaints in the world. This problem is more likely to develop with age, and can seriously detract from your quality of life. In this article you are going to learn what causes buzzing ears, as well as whether there is anything you can do to treat this frustrating problem. The root cause of buzzing ears is exposure to loud noise during various stages of your life. Basically, this noise causes slight damage to your ears, and over time this builds up causing hearing problems, as well as strange ringing, humming and buzzing noises in your ears. The types of noise exposure that cause this are generally from things such as loud music (especially rock concerts or loud instruments) as well as sounds in the workplace. However, buzzing ears can also be caused by a more constant, repeated exposure to quieter sounds. One of the best examples of this is the increasing use of portable music devices such as mp3 players- these effectively “blast” music right into your ear drums, especially if you have the “bud” variety headphones. The increasing use of portable music devices is one of the leading factors behind buzzing ears becoming more and more common in society these days. Other sources of noise which may have caused your buzzing ears can often be found in daily life. For example, a lot of people who develop the condition used to (or still) work in factories or places where there was a lot of loud noise, and often minimal hearing protection. What you need to do is look back on your life and think hard about where and when you were exposed to a lot of noise, and if you still are, try as hard as possible to eliminate it if you want to get rid of buzzing ears. Buzzing In Ears Symptom – What If the Ringing in Your Ears Was Caused by a Brain Tumour? Acoustic neuromas (also called vestibular schwannomas) are brain tumours that are a ringing in ears symptom of a more serious problem. Not all symptoms of ringing ears are tumours, but you should always have an Ear Nose and Throat (ENT) doctor run a thorough set of tests to rule out an acoustic neuroma because they are a form of brain tumour. Often people think the noises that they hear in their ears are temporary and not worth getting a doctor involved. That’s because they think the tinnitus or ringing in ears symptom is a temporary medical problem. In fact, the ringing or buzzing you hear is really a symptom of another more serious condition that shouldn’t be treated lightly. One of these serious conditions may be having an acoustic neuroma which is a brain tumour. Having the diagnosis of a brain tumour is most alarming, but takes some assurance in knowing that these tumours are benign, or non-cancerous. About six percent of all brain tumours are benign vestibular schwannomas. If for no other reason to seek medical advice, your ringing in ears are symptoms of another underlying health problem like high blood pressure, a thyroid problem, cholesterol issues as well as having a brain tumour. These vestibular schwannomas are located deep inside your skull next to nerve centres. Usually, a physician will recommend removal of these tumours. The good news is that about 10 in every 1 million people develop an acoustic neuroma. The bad news is that the larger the tumour is, the more likely you are to suffer hearing loss. In fact, you may already be experiencing some hearing loss in addition to the ringing in ears symptom. There is a condition call neurofibromatosis Type II (NF2) which is a hereditary disease. NF2 is characterized by tumours that grow on nerves which can impact facial and auditory functions. Not all patients with vestibular schwannomas have NF2. Their tumours only impact auditory nerves so surgery should not inhibit facial nerves and movement. Once a brain tumour reaches a certain size it must be surgically removed. In some cases hearing will be preserved, but not in all cases. If your hearing is salvaged, it will not be better than it was when the tumour was in your head. In fact, it may be worse. So there you have it. Don’t underestimate the alarm set off by your ringing in ears symptom of a more serious, underlying condition like acoustic neuroma. It could be something less dramatic too, like high cholesterol that you need to treat, but the point is – don’t ignore the popping, buzzing or ringing in your ears. Buzzing Ears – Can Anxiety Cause Buzzing In The Ears? Buzzing in the ears or tinnitus is a condition that harms millions of purchasers most every year, subjecting them to a constant noise in these ears that is audible only to them. At times, right now, noise can be so disastrous and persistent overly, it can make to a lack of sleep, depression, and a sense of desperation to see a cure or solution. While tinnitus in and of itself can be a signal for a considerable amount of trepidation there are also a number of experts that are studying the link between anxiety and tinnitus making an attempt to determine that comes mostly the angst or the tinnitus. The hope is that by answering the question “can anxiety cause buzzing in the ears?” researchers can obtain other ways to treat this condition. While there are many other causes identified for tinnitus, such as aging, hearing loss and damage, as well as certain medications and medical conditions, stress and anxiety are known to also play a significant role in this condition. So Can Anxiety Really Cause Buzzing in the Ears? There is no simple answer to this question; low level tinnitus is a condition that is present at one point or another in approximately 90% of the population. Tinnitus first becomes a problem with the sufferer notices it and because he then focuses on it, it tends to amplify; furthermore, it is known that anxiety and stress can play a significant role in this process. So, it is thought that while the initial noise probably has nothing to do with the anxiety or stress, when it is noticed a person becomes concerned about it, then anxiety or stress sets in amplifying the sounds and eventually training the brain to broadcast this sound loud enough to completely disrupt life. It is then further theorized that this is the reason why people with existing anxiety issues are prone to tinnitus, as they are more apt to notice the sounds in their ears and become anxious over them, taking what starts as a slight buzzing or ringing in the ears and amplifying it into the deafening high pitched ringing or buzzing that so many tinnitus sufferers describe. This does not mean that the anxiety caused the tinnitus as much as it means that anxiety aggravates an existing or emerging condition. While managing anxiety may not cure your tinnitus, learning to manage your anxiety can certainly improve the level and intensity of the buzzing in your ears. Learning to accept the tinnitus as a normal part of your world that cannot harm you will reduce the intensity of the ringing in your ears to something tolerable that you can most days learn to not even think about. Suffering from Ringing Ears and Tinnitus? Get your life back forever by checking out Buzzing Ears now. Buzzing noise in ears is a highly common medical complaint and affects a large proportion of the population. If you are struggling with buzzing noises in your ears then you need to understand that you don’t have to suffer- there are simple solutions that will make your life much more bearable. In this article you are going to learn the causes of humming ears, as well as whether there is anything you can do to treat the problem. As you may already be aware, the primary cause of buzzing noises in ears are exposure at previous points in your life to noise, especially loud noise. Basically, loud noise damages the sensitive parts of your ear canal, leading to hearing loss, as well as problems such as ringing and buzzing ears (please note that this is more correctly referred to as tinnitus in most cases). Generally, it’s not so much one exposure to loud noise which causes tinnitus/buzzing noises in the ears (usually a very loud noise such as an explosion is more likely to cause actual hearing loss) as repeated exposures to more moderate levels of noise. For example, people who have worked in factories for extended periods of time during their lives often experience tinnitus later in their lives as the repeated factory noises cause damage to their ears. What you need to do is think back on your life to any situations where you have been constantly exposed to reasonably loud noise for a period of time. For example, did you ever play in a loud rock band without suitable hearing protection? If so, this could be the cause of those buzzing noises in your ears. Once you have determined what may have caused the problem, you need to try and eliminate as much excessive noise as possible to minimize future damage and give your ears time to recover. One thing that is very important is to not use portable music devices as these literally blast music right into your ears, and will make the problem much, much worse. How horrible it is to suffer from Tinnitus. After all, this buzzing and ringing interferes with daily life and ruins concentration and mood. Read on to learn how to attain the bliss of no more buzzing in the ears. Hypnosis is an excellent idea for sufferers of Tinnitus. This is because people with Tinnitus do understandably experience tremendous anxiety and Hypnosis is known to alleviate anxiety. They do sell self hypnosis CDs on the Internet. It is beneficial to see a Hypnotist in person for this purpose if possible. In order to find a good Hypnotist, ask around in your area to see if there are any good local practitioners and read online reviews. There are at least a dozen homeopathic remedies for Tinnitus. A Homeopathy practitioner will administer them depending on which type of sound is experienced by the patient. Each different remedy is for a different type of unwanted sound, for instance, calcarea carbonica is given for Tinnitus with Vertigo. Each one would be different and would have to be determined in conjunction with the Homeopathy practitioner. All of the powerful B vitamins, particularly B12, can really provide a knockout punch to Tinnitus. This is because of all the functions that the B vitamins perform in the body. For one thing, they provide energy. Also, they decrease stress and calm people. Finally, they may provide an improvement in uplifted mood as well. The powerful B vitamins are crucial for Tinnitus sufferers, absolutely crucial. In addition to taking the vitamins, make sure that the diet is pure, including mostly fruit and vegetables with lean protein. Resist eating junk foods and food with additives and preservatives. These are known to be quite unhealthy. Eat fresh produce and drink water. This powerful combination approach will do much to alleviate the buzzing in the ears. Buzzing in the ears need not be an impossible situation anymore. This combination of hypnosis, homeopathic remedies and powerful B vitamins will improve your overall health and you will find that in time as improvement progresses, there will be no more buzzing in the ears. Most of the time a person is said to be suffering from tinnitus when the sound they are hearing does not have any external cause and has been going on for a while. You may experience having a buzzing ear or hear a buzzing sound in both ears. A person suffering from tinnitus usually experience hearing various sounds in the ear such as clicking, whistling, roaring, ringing, waterfall-like sounds and even hissing. You may also experience a buzzing ear at times and a roaring ear on some occasion. 1. If in case you are hearing different sounds on your ear, it is wise to visit your physician as soon as possible. Although such cases are rare, you should remember that a buzzing ear may be a sign of a more serious medical condition such as a head or neck injury, cancer, narrowing of carotid artery or even aneurysm. 2. Do not panic. The abovementioned cases are usually the worst-case scenarios for people who are experiencing tinnitus. 3. 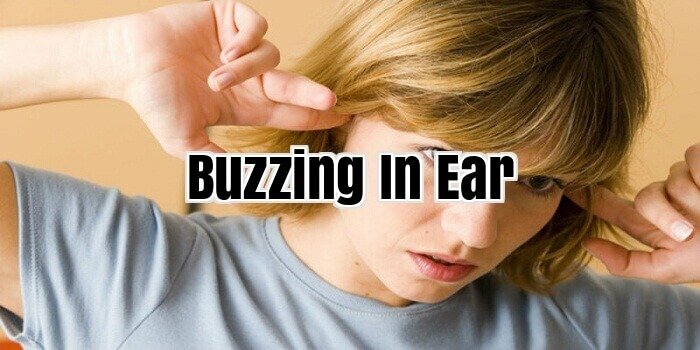 Most of the time, buzzing ears is due to too much exposure to loud music and/or noises. Make sure to protect your ears by using ear plugs to avoid any injury. 4. Tinnitus may also be a result of various kinds of pills. Large quantity of aspirin may cause buzzing ears and so you have to moderate the consumption. 5. Too much stress and alcohol may also cause tinnitus or worsen the condition if you are already suffering from it. As much as possible, avoid consuming too much alcohol to avoid the occurrence of this condition. Stress, on the other hand, may not be easy to eliminate and so it is essential for you to learn several techniques on how to lower your stress level and how to completely eliminate stress without having to resort to alcohol that is if it is your way to deal with stress. 6. Using a masking CD may also be helpful in getting a relief from buzzing ear and a lot of people has benefited from using it. When you check with a physician, you may undergo physical examination to determine the cause of the condition and the possible reliefs that can help you lessen the discomfort of tinnitus. Also, if you are to follow these simple tips such as using an ear plug when you are often exposed to loud music or noise and avoid getting stressed, then it can be very helpful for you when it comes to relieving the discomfort due to tinnitus. If you are concerned that you may be suffering from tinnitus and have questions, the following article will help. All of the information that you need to self-diagnose is in this article. You can read about the symptoms of the condition and decide if you are indeed affected. Cognitive-behaviour therapy from a counsellor may help. This kind of therapy will teach you how not to focus on tinnitus. Working with a professional therapist will help you deal with your troubling issues that might be causing your tinnitus. This helps you cope with it better. Do not let tinnitus control your life and you will be much happier. Try to remember if you began a prescription drug regimen when your symptoms of tinnitus first appear. A wide variety of prescription drugs have been known to cause tinnitus. Plug your ears whenever you head to the pool, if you suffer from tinnitus. When you go swimming, you can water in your ears; this can make tinnitus worse. It is also a good idea to use ear plugs while showering. Try to remember if you started any new medications around the time your tinnitus first started. If your tinnitus is a side effect of medication, you might feel better if you switch medications. If your doctor agrees that it is a good idea, consider discontinuing each medication one at a time to discover if your ear ringing may be caused by a medication. There’s a saying that a sleepy dog is a very good dog; it is the same for someone who has tinnitus. Sleep will come more easily when you finish you day tired and ready to sleep. Being active can attenuate your symptoms. The drowsier you are when you go to bed, the faster you will get to sleep. Exercise can also help reduce the symptoms of tinnitus, making your day easier to get through. Stay away from loud noises to reduce the symptoms associated with tinnitus. Any exposure to loud noise may damage your ears forever. Once these cells have been injured, you will experience a ringing sound in the ears, which results in tinnitus. Adjust the way you eat. Some former tinnitus sufferers attribute their cure to changes in their diet. 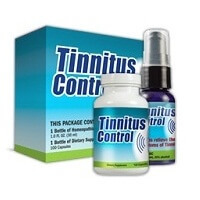 Many tinnitus sufferers report that vitamin B12 and gingko biloba helped their tinnitus. Others suggest that avoiding coffee can help, too. Don’t try to change your entire diet at once. Try one remedy at a time, so you can see whether it helps your symptoms or makes them worse. Reducing stress is often all it takes to make your tinnitus symptoms disappear. Tinnitus may be a physical manifestation of an emotional issue. Call your primary care physician. At the first sign of tinnitus, you should be concerned enough to get a proper diagnosis. A doctor could furnish ideas that will make it easier to deal with tinnitus. He can run tests to rule out other health problems that could cause or contribute to your tinnitus. Always stay away from noises that are loud when you have tinnitus. Carry earplugs for shielding your ears from any loud noises that you cannot control. When ear plugs are not available, utilize the fingers of your hand and block loud noises in any way available. In a pinch, you can plug your ears with your fingertips during noisy emergencies. Make a change in the foods you consume. Believe it or not, some people claim to get rid of the condition completely by simply making some lifestyle changes in how they eat. If you suffer from tinnitus, learning as much as you can about the condition can be extremely helpful. Research the subject online, or hit the library for books and articles that explain the condition. Knowing what you’re up against is often enough to help you deal with the problem more successfully. Visit your dentist if you are having tinnitus problems. You can develop tinnitus because of a dental or jaw problem. Make sure that you discuss tinnitus; you may find that doctors that you see will have beneficial advice for you. If the cause of your tinnitus is in fact a physical issue, investigate what it would take to correct it. Adjust the volume knobs of your stereo and other devices that make noise! Over time, continued exposure to excessively loud noises can cause long-term hearing loss. If you have tinnitus, these noises may make the problem more severe. You may have a family doctor, audiologist, and even an ENT specialist, but your most important caregiver is you! Your feedback on treatment effectiveness is the most important information in determining what works best for you. It is crucial that you look at yourself as part of your own medical team, and not just a patient. Work with your doctors so that you are sure to get the best possible care. Try to determine the root cause of your tinnitus. Look at all of the medicines that you are currently taking — some of them have tinnitus as a side effect. Get rid of sugars, synthetic sweeteners, caffeine, sodium, and alcohol, because they can all cause tinnitus. Tinnitus retraining therapy (TRT) has helped some people function, even with severe tinnitus. While it may not cure the condition, it can help make it easier to cope with the symptoms. Take time to relax before bed to avoid insomnia and relieve the stress and tension that can cause tinnitus. Any worries you have can worsen tinnitus symptoms, and leave you exhausted due to a lack of sleep. As you have learned, there are several factors that need to be taken into consideration when diagnosing tinnitus. Follow the guidelines outlined above carefully and you’ll be able to make a sound decision.